I picked it up and placed it, in my rush to leave for work, on the kitchen counter. Next to it, I noticed that evening upon my return home, were a bundle of newly-purchased Christmas baubles. I scooped the lot up and put them away with the rest of our festive bits and bobs. 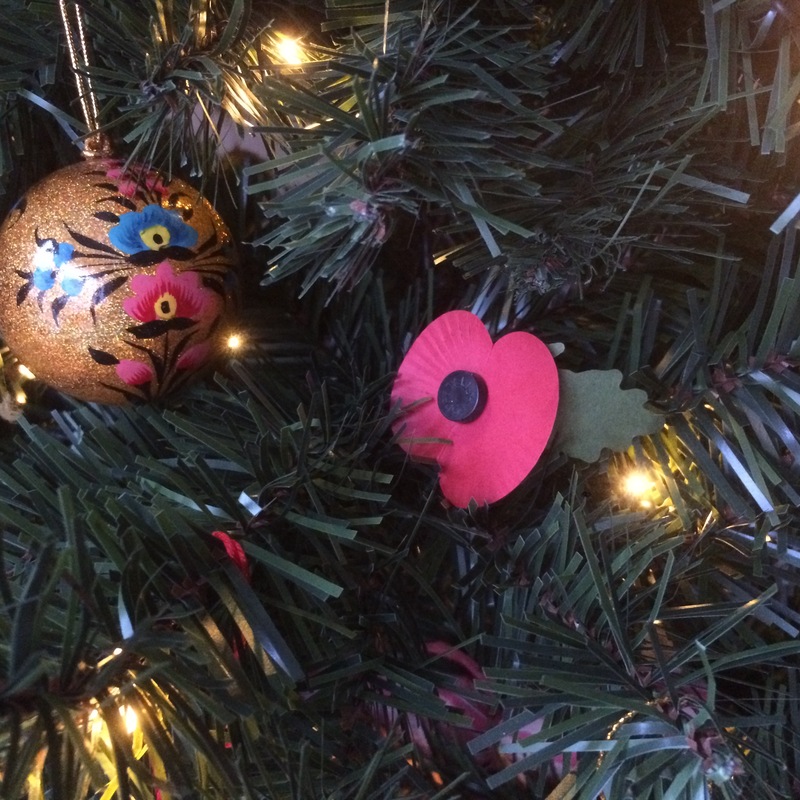 When December arrived, the poppy came out, alongside our Christmas tree decorations. It seemed logical to place the poppy on a branch of the tree, a reminder, amidst all the season’s joy, of the sacrifices made by the brave men of our history and a tiny thank you to all the Armed Forces still serving across the world, unable to be with their families as they decorate their trees. In the years since I have kept all our poppies and each Christmas they can be found, if you look closely, nestled on our tree. It’s only a little tradition, but it’s one more way to pay tribute to those who have died in well-known and lesser known acts of heroism and sacrifice during the conflicts of our past.